Few baseball fans today know how close the St. Louis Cardinals came to moving to Milwaukee in January of 1953. Had such a move occurred, and had Major League Baseball attempted to block it, organized baseball’s vaunted antitrust exemption might have ended decades ago. That a major league team might be relocated in time for the 1953 season was a frequent topic of Hot Stove League conversation following the conclusion of the 1952 season. Although no major league team had switched its base city since 1903, the Congressional hearings on baseball conducted by the Celler Committee in 1951 and 1952 had revealed considerable dissatisfaction with the current major league line-up which featured 16 teams in ten cities, none of which were west of St. Louis. There were three teams in New York, two each in Boston, Chicago, Philadelphia, and St. Louis, with single teams in Cincinnati, Cleveland, Detroit, Pittsburgh, and Washington. With little support among current owners for increasing the number of major league teams, the logical alternative was to move some of the teams from the multiple-team cities to cities that currently had only minor league baseball. Much of the speculation focused on St. Louis. 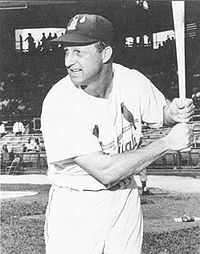 The situation came to a head dramatically on January 28, 1952, when Cardinal owner Fred Saigh pled “no contest” to charges of income tax evasion in federal court in St. Louis and was sentenced to 15 months in prison. Fearing that his fellow owners would strip him of his franchise, Saigh immediately agreed to give up control of the Cardinals and to sell his 90% ownership stake in the team. At that point several Milwaukeeans, anxious to have major league baseball return to their city, undertook to bring the Cardinals to Wisconsin. A January 30, 1953, New York Times article identified Fredrick C. Miller of the Miller Brewing Company, as one of several individuals reportedly interested in purchasing the Cardinals. Actually, by that date, Saigh had already offered to sell the Cardinals to Miller for $4.5 million dollars, but Miller had balked at the price. The Milwaukee Journal reported that same day that Miller had declined Saigh’s initial offer, but the paper was optimistic that a deal could still be worked out. Almost immediately after Miller declined Saigh’s initial offer, a “Milwaukee syndicate” (which may have included Miller) made a “feeler offer” for the team that Saigh rejected. Potential buyers from Houston and St. Louis were also bidding for the team, and on January 31, the Associated Press reported that several “undisclosed groups” had made offers to purchase the club but that Saigh intended to sell to St Louis interests. In spite of the reports that he intended to keep the team in St. Louis, Saigh continued to negotiate with the Milwaukee group which offered $4.1 million dollars for the Cardinals during the first week of February. On February 14, Saigh was apparently close enough to accepting the Milwaukee offer that Cardinal front office employees were told that if they wished to move with the club to Milwaukee their moving expenses would be paid by the team. However, his reluctance to sell the team to owners who would move the club away from St. Louis led Saigh to put the Milwaukee offer on hold while he continued to search for a local buyer. No one has convincingly explained Saigh’s refusal to sell the team to the Milwaukee buyers. On February 21, the United Press reported that a week earlier Saigh had been close to agreeing to transfer the Cardinals to the Milwaukee ownership group. According to the UP Saigh had advised the Anhauser Busch representatives that he was about to close a deal with the Milwaukee group, and if the St. Louis-based brewery wanted the team it would have to act immediately. And it did, offering Saigh $3.75 million for the team, a figure less than the Milwaukee offer, but apparently large enough to satisfy Saigh. The same day, the Wisconsin State Journal, a Madison daily, quoted Saigh as saying that once he had an outside bidder willing to pay a fair price for the club, he offered it to Anheuser-Busch at the same price. The outside bidder was not identified but the way the story is positioned on the paper’s sports page, it seems clear that most readers would know that the buyer was from Wisconsin. Saigh may well have been using outside bidders from Milwaukee (and possibly other cities) to establish a market price for the team and to convince local bidders that even though he was being forced to sell the team, he was not going to sell it for a fire-sale price. By mid-February he clearly intended to sell the Cardinals to a St. Louis buyer if one could be found who was willing to pay close to the team’s actual value. And when he found such a bidder in Auggie Busch, he sold him the team. This was Saigh’s own explanation and one accepted by most sports journalists at the time. However, it is also possible that Saigh, desperate to extricate himself from an embarrassing situation, was worried that his fellow owners might veto the sale of the popular Cardinals to individuals who planned to move the team. Although the Cardinals had attendance issues in St. Louis, they were one of the most widely-followed teams in the United States and had an extraordinarily large fan base in the South and in the states of the western plains. If this had been the case, and had Saigh sold the team to the Milwaukee buyers anyway, then it seems likely that the owners would have failed to approve the sale. A second possible obstructionist scenario would have involved the minor league Milwaukee Brewers (owned by Lou Perini who also owned the major league Boston Braves). Under the terms of the National Agreement (the contract arrangement that bound together the major and minor leagues) the Brewers could have invoked their territorial rights to block the movement of another organized baseball team into their territory. If either of these scenarios had occurred the new Milwaukee owners would have had strong reasons to bring suit against organized baseball under the federal antitrust laws. Such an action almost surely would have been brought in federal court in Wisconsin, where a sympathetic judge and jury were likely to be found. If such a suit had been filed in 1953, what would have been the result? One might think that organized baseball would have been insulated from such a lawsuit because of its antitrust exemption. However, in January and February of 1953, the baseball antitrust exemption was anything but secure. The Toolson v. New York Yankees decision that would confirm the exemption would not be handed down until the following November, and many observers in 1953 expected the baseball antitrust exemption to go the way of the insurance and manufacturing antitrust exemptions and other pre-New Deal limitations on the scope of the Sherman Act. Four years earlier, the prestigious United States Second Circuit Court of Appeals had ruled in the case of Gardella v. Chandler that Major League Baseball was no longer exempt from the federal antitrust laws, and baseball had decided not to challenge that ruling by bringing the matter before the Supreme Court. Moreover, when dealing with broadcasting issues involving Major League Baseball and the National Football League in the early 1950’s, the Justice Department had consistently taken the position that the Sherman Act clearly now applied to organized baseball, at least in regard to broadcasting issues. On the other hand, in December 1952, the Ninth Circuit Court of Appeals had ruled that the antitrust exemption created by the 1922 Supreme Court decision in Federal Baseball was still valid. On February 20, 1953, just as Fred Saigh decided to reject the Milwaukee offer to purchase the Cardinals, the Sixth Circuit reached a similar decision upholding the continued validity of the exemption. The confusion was resolved that November when the Supreme Court ruled 7-2 in Toolson v. New York Yankees that the baseball antitrust exemption survived, at least until Congress chose to repeal it. However, Toolson and its two companion cases involved issues related to the operation of minor league baseball, an institution somewhat irrationally valued by many Americans and whose continued existence could be threatened by the application of the antitrust laws to the web of restrictions on players and team owners that made it viable. None of the three touched on the issues of territorial exclusivity or the relocation of major league franchises. While the Milwaukee case would have arisen too late to be consolidated with Toolson, the existence of a franchise relocation case hovering in the background might have prompted several of the Supreme Court justices to view the issues in a different light. Had the owners nixed the transfer and had the Milwaukee interests sued Major League Baseball under the Sherman Act, the entire history of baseball and antitrust might have turned out differently. Almost as quickly as the disappointing saga of the Milwaukee Cardinals ended, the glorious saga of the Milwaukee Braves began. Playing in their new stadium, the Braves quickly shattered the all-time major league attendance record and within four years were playing the New York Yankees in the World Series. The Cardinals did not make it back to the World Series until 1964. It is also interesting to speculate what might have happened had the Cardinals, not the Braves, moved to Milwaukee in 1953. The Browns almost certainly would have stayed put in St. Louis. Lou Perini, the owner of the Braves, was exploring the option of moving to San Francisco (as well as Milwaukee) in 1953, and presumably would have moved to San Francisco, if not in 1953 then in some year thereafter. The New York Giants seriously contemplated relocating to Minneapolis in the mid-1950’s, and with San Francisco occupied by the Braves, they would have likely moved to the Twin Cities as their attendance in New York continued to plummet. Baseball could well have ended up with the Minneapolis Giants and the San Francisco Braves. Given the well-documented recalcitrance of Robert Moses and Walter O’Malley, the Dodgers would have still moved to Los Angeles in 1957, but the Senators might have stayed in Washington, D. C., particularly if Minneapolis was already taken by the Giants. Rather than move to Kansas City, the Philadelphia Athletics might simply have relocated down the road to Baltimore, where they probably would have retained the Athletics name. By 1958, the baseball map would have been basically the same as it actually was, with a team in Minneapolis rather than Kansas City being the only difference, but there would have been some very different uniforms. Whether the Milwaukee Cardinals would have abandoned the Brew City in 1966 for Atlanta is a question the answer to which no one will ever know. I was intrigued by the possibility that the minor league Brewers may have become the Toledo Mud Hens. Sadly, the Brewers of Borchart Field died in September 1958 when the second place Wichita Braves lost to the third place Minneapolis Millers in the first round of the American Association play-offs, four games to two. After that season, the Milwaukee Braves shifted their AAA affiliation to the already existing Louisville Colonels who had lost their affiliation with Baltimore. The Wichita team, stripped of its Milwaukee Brave farmhands and suffering from poor attendance (averaging just over 1300 fans per game in 1958 despite a second place finish), simply expired. Here is the story in more detail. In 1958, the American Association played as an eight team league. Seven of the eight teams—all but Wichita—returned the following year when the Association expanded to ten teams. Added to the league for 1959 were three Texas teams—the Fort Worth Cats, the Dallas Rangers, and the Houston Buffs. In 1958, all three of these teams had played in the AA Texas League, but after that season their owners decided that their home cities had simply grown too large to continue at the second tier of minor league baseball. (All were motivated in part by the hope of attracting a major league team at some point in the future.) In 1959, the Texas League fielded no teams in these three cities. Had the three new AAA teams been new or relocated franchises, they could not under baseball rules play in cities that were already occupied. However, at the time everyone involved with the two leagues understood that the three new Association teams were not new franchises, but existing franchises switching from one league to another. Not only were there no changes in ownership, but there were numerous overlaps in personnel between the 1958 and 1959 teams, especially in regard to the Fort Worth team. In 1958, the Fort Worth Cats were a Chicago Cub farm team managed by Lou Klein; in 1959, they were still a Cub farm team and Lou Klein was still the manager. A scan of the 1958 and 1959 rosters on Baseball-Reference.com shows considerable overlap in player personnel which is not surprising given that the Cubs AA farm team was now its AAA team. The Cubs apparently supported the move to the new league, having discontinued their previous AAA affiliation with Portland of the Pacific Coast League. Moreover, in their book When Panthers Roared: The Fort Worth Cats and Minor League Baseball (1999), authors Jeff Guinn and Bobby Bragan discuss the team’s decision to leave the Texas League following the 1958 season and to join the American Association. Guinn and Bragan represent the story as a decision made by the current owners of the Cats, and there is no mention whatsoever of the Wichita franchise. I suppose it is possible that the Wichita franchise was arbitrarily assigned by the American Association to Fort Worth while Houston and Dallas were admitted as expansion teams, but even if that were true it would establish only a meaningless link between the two franchises. Your genealogy going forward from Fort Worth is fine, but that is not the subsequent history of the old Brewer team that many Milwaukee baseball fans still adore. It would be nice if it were true that the current Salt Lake City Bees were the old minor league Brewers still playing under a different name, and I hate to be the one to point this out, but Joe, it just ain’t so. I am both a bit more informed and a bit sadder. Great alternate history, but if the Dodgers talk the Braves into going to California with them, Robert Moses could offer the future Shea Stadium to the Giants, who would play in Yankee Stadium for a couple of seasons (actually proposed) until the new ballpark was completed, obviously earlier in this timeline than in real time. The original Senators still move to Minnesota, and the 1961 AL expansion takes place as it did in our timeline. Phil Tamasone’s point is an interesting one. However, if the Giants stay in New York, then there is unlikely to have been a Continental League. Without the threat of a “third major league,” neither the AL or the NL may have expanded in 1961-62. We now also know that Lamar Hunt was greatly inspired and influenced by the Continental League, so may no AFL as well. Hunt might have just doubled down on his efforts to buy the Chicago Cardinals instead. Suddenly, the whole history of American team sports starts to look quite different. Gordon, that AL expansion would still take place, as Congress threatened to repeal the antitrust exemption unless MLB replaced the departing Senators. Interesting thought. If the Athletics go to Baltimore instead of Kansas City, the stadium there doesn’t get expanded to accommodate a major league team, remaining at a small minor league capacity. Ergo, when Lamar Hunt decides to move the Dallas Texans at the end of the 1962 season, KC wouldn’t be considered as an option.